Welcome to rosehomes.com, a complete real estate resource for anyone considering a move to, from or within the Twin Cities area. Karla Rose Homes, Inc. provides comprehensive real estate services and advocacy for buyers and sellers throughout Minneapolis and St. Paul with special emphasis on Golden Valley and the Western Suburbs. 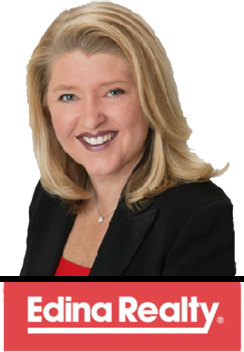 As an Edina Realty Top Producer who has been voted Super Agent by Mpls.St.Paul Magazine since 2005, Karla Rose is a respected leader with a proven record of success and nearly 20 years of real estate industry experience. Interested in buying or selling a home, exploring property investments or have questions? Give us a call. We are here to assist you with everything from home preparation, staging and marketing to buyer representation, market analysis and negotiations. Copyright © 2012–2017 Karla Rose Realty. All Rights Reserved.